Bailey has combined select products into packages that make it easy and economical to start or expand a work hardening program. 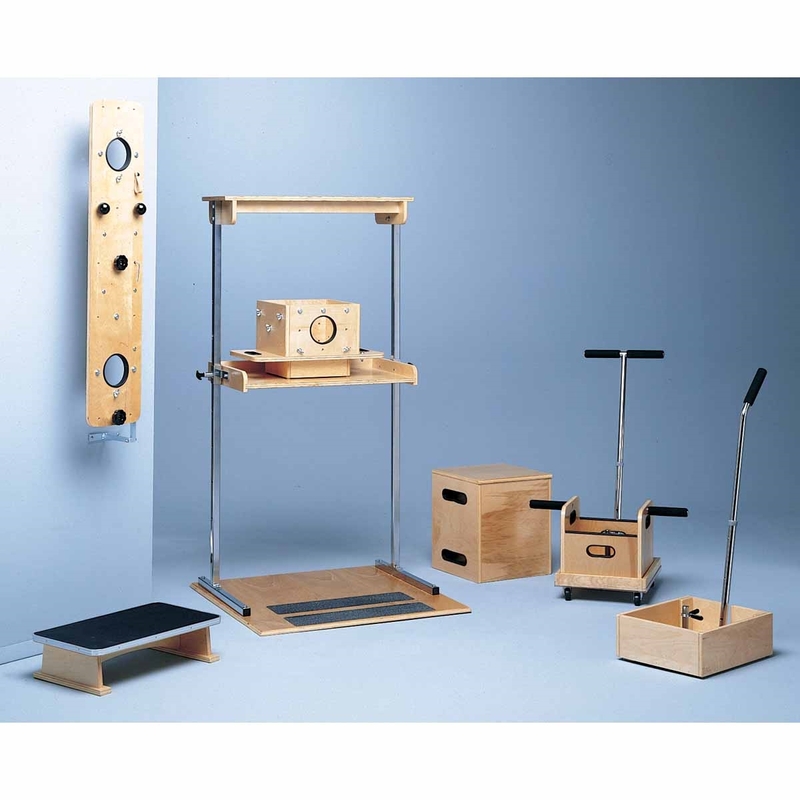 Bailey Manufacturing's work hardening products are designed to allow the therapist to progressively challenge an individual's strength, endurance and simulate on the job work tasks. Bailey has developed a variety of products that will aid the therapist in achieving these goals, such as; 5 sizes of lift boxes, lifting platform, hand assembly device, 2 electrical assembly centers, sorting bin, adjustable height shelf, weight sleds, both table top and wall mounted work stations, shoveling station, both mechanical and electronic force gauges, hand evaluation set, hydraulic dynamometer and pinch gauges. In addition, Bailey has combined select products into packages that make it easy and economical to start or expand a work hardening program.